This mod allow you to change the style of your crosshair. By default press the "C" or "GRAVE" key to open the customize menu. 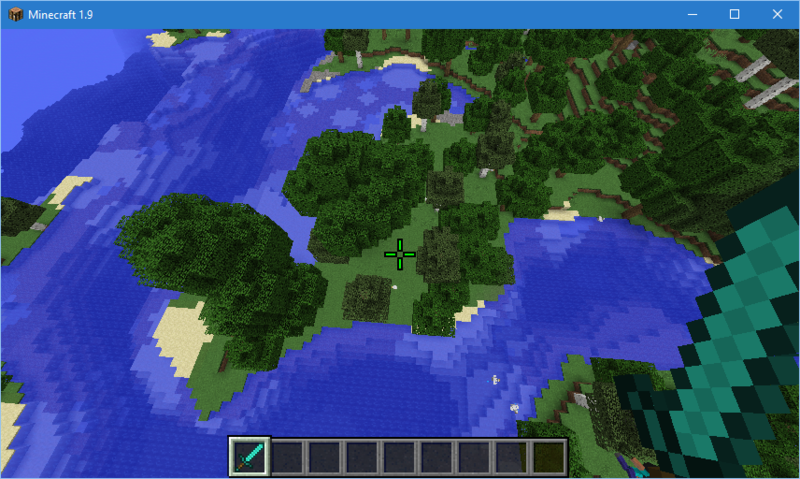 Scroll down to download this mod for previous versions of Minecraft. Download and RENAME the .txt file to "custom-crosshair-mod_save.txt" and place it into your Minecraft directory. If there is already an existing file, replace it. Styles the crosshair to look like a red hashtag (#). Styles the crosshair to look like a sniper scoping in. If you have an interesting crosshair design, send images of them to me in the comments. Also check out the following video by JSQ! Mod has been updated to version 0.2. 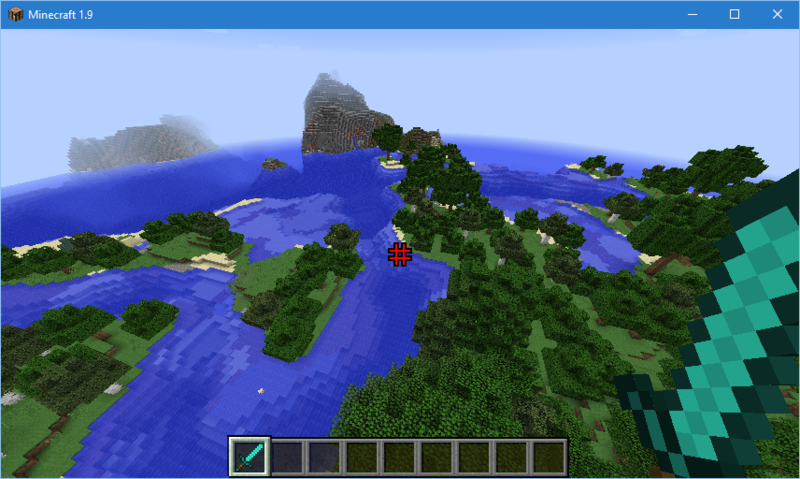 - Allows the Crosshair to be the default style, visiblity settings affect it. Mod has been updated to version 0.2.1. - Added tooltips for each tickbox or slider, describes the function of each. - Created a forge version of the mod. Download the latest version of the mod and move the "crosshairmod1.9" folder into your "versions" folder located in your Minecraft Directory. For the forge version, move the "crosshairmod-v0.2.1-forge-mc1.9.jar" into the "mods" folder located in your Minecraft directory. Can you make this mod compatible for 1.8 version? I can make a 1.8 version. Would you want it to be forge? Optifine has only got a 1.8.9 full release and the 1.9 preview is not compatible with forge, so you will not be able to use my mod with it unfortunately until there is a compatible version. I really appreciate it. I also really like your website, interesting and detailed stuff on there. You can now download a 1.8 compatible version now. Mod has been updated to version 0.3. - Added "Reset" and "Settings" button in Customize menu. 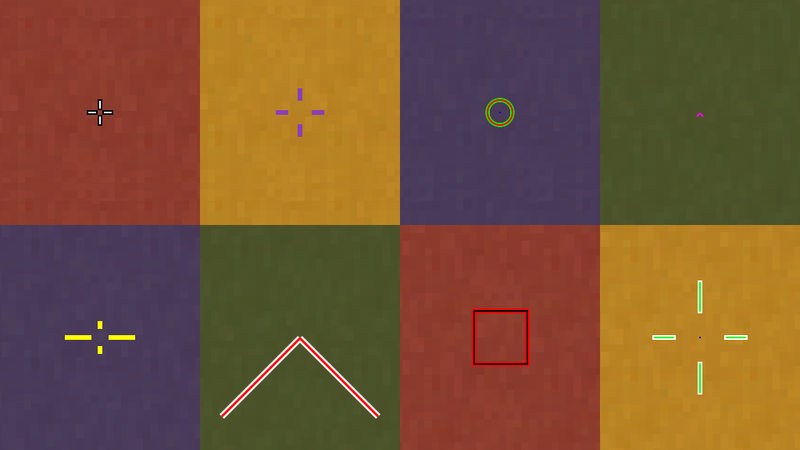 - Crosshair can now customize the outline and dot colour. - Editing colours is now in a separate GUI menu.